A stylish new Mercedes A-Class has arrived in Ireland; can the petrol version take the fight to the Golf? The fourth-generation Mercedes-Benz A-Class. 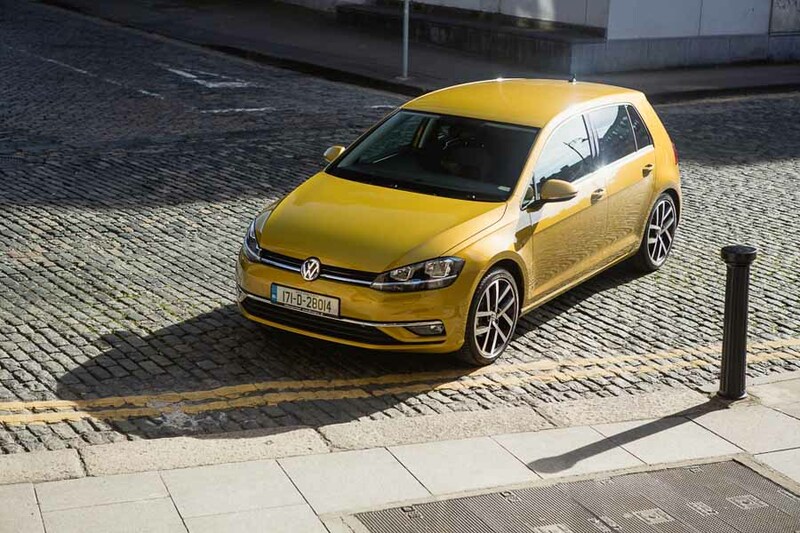 It arrived on Irish shores just in time for the '182' registration plate and takes the fight to other premium compact C-segment cars such as the Audi A3, BMW 1 Series, Volkswagen Golf and Volvo V40. Though a stylish four-door A-Class Saloon is due next year, here we test the five-door hatchback. While we expect the range to fill out with more engine options in the coming year, at the time of writing, buyers can choose either the A 180 d (1.5-litre diesel, auto only, starts at €31,600) or the car tested here, the A 200. The A 200 features a turbocharged 1.3-litre petrol engine, putting out 163hp and 250Nm of torque to the front wheels, either via a standard six-speed manual gearbox or the optional seven-speed dual-clutch automatic tested here. Prices for the A 200 start at €32,040 for the Style version, rising to this car, the range-topping A 200 AMG Line with an automatic transmission. In between is the Progressive trim level, but the step up in price from that to the AMG Line car seems all but irrelevant given the far more appealing appearance of the latter. Indeed, using the Mercedes PCP product (Star Finance), the difference is less than €20 a month all things being equal. For that, the AMG Line car adds 18-inch alloys, a chunky sport steering wheel trimmed in Nappa leather, an AMG body kit and plenty of other details that enhance the A-Class no end. I probably don't need to, as you're possibly too busy drooling over our pictures to read these words in any case. The new A-Class is a cracking looking car, even more so than our images can convey, and the specification of the test car really accentuates that, mixing cool five-spoke alloys with lustrous black paintwork and the optional Night Package (a reasonable €623). But the exterior design is only a teaser, as this car's USP comes from its cabin. There, potential buyers in a Mercedes showroom will 'squeee' with excitement at the sight of the very impressive looking 'MBUX' multimedia system. This takes the form of one long iPad-ish display, replacing traditional instruments and the infotainment screen in one seamless unit. And it works as well as it looks, with a slick interface through either touch on the screen itself (not the portion in front of the driver...), using the large touchpad on the centre console, activating the impressive voice recognition system by saying "Hey Mercedes!" or, our favourite method, using the little thumbpads on the steering wheel spokes. In one fell swoop it's the best system of its kind on the market. You're waiting for the "but, it costs...", aren't you? Actually, it's standard fit across the range. The rest of the cabin looks good, too, including the distinctly sporty seats. It's annoying that there's clearly a good chassis underneath trying to get out, but it feels stymied somewhat. After all, that sharp-suited exterior and flat-bottomed steering wheel raise your expectations. Now, to be clear, it's not a completely duff steer; the chassis feels biddable and agile, it corners flat and isn't as uncomfortable over broken surfaces as you might expect it to be. But neither is it quite as engaging as we'd like. To start with, the steering is rather slow, meaning you have to turn it more than you expect at times, which makes the front-end of the A-Class feel less responsive than you'd like. Saying that, once you have turned in, it is planted and there is a huge amount of grip, though the front and rear react differently to bumps, giving them a disconnected feel that will make you slow down on a badly surfaced road. I also reckon that the automatic transmission is detracting from the driving experience in this car. While it's very smooth at full-throttle up-shifts, and the gearchange paddles are tactile, left to its own devices it makes some odd decisions, including dropping down a gear or two every time you touch the throttle for a bit of acceleration, even when you're not using the Sport mode. That might be acceptable if a high-revving naturally aspirated engine was under the bonnet, but the turbocharged 1.3-litre unit produces ample torque low down the rev range, so it's actually more satisfying to take over control of the gears for yourself and use that torque rather than listen to the (not particularly sporty) sound of the engine. One thing is for sure: there's loads of performance on tap, but we suspect that the manual gearbox may be a better option for accessing it all in a more satisfying manner. We were verging on a 3.5-star result here, but we have to concede that more people care about the aesthetics, the interior and the technology in a car such as the A-Class than do about how it drives. Those that want a hot hatch will go out and buy one; the Mercedes A 200 isn't that, but for those that are looking for a premium hatchback with good performance, a great image and cutting-edge technology, the new A-Class makes a strong case for itself. 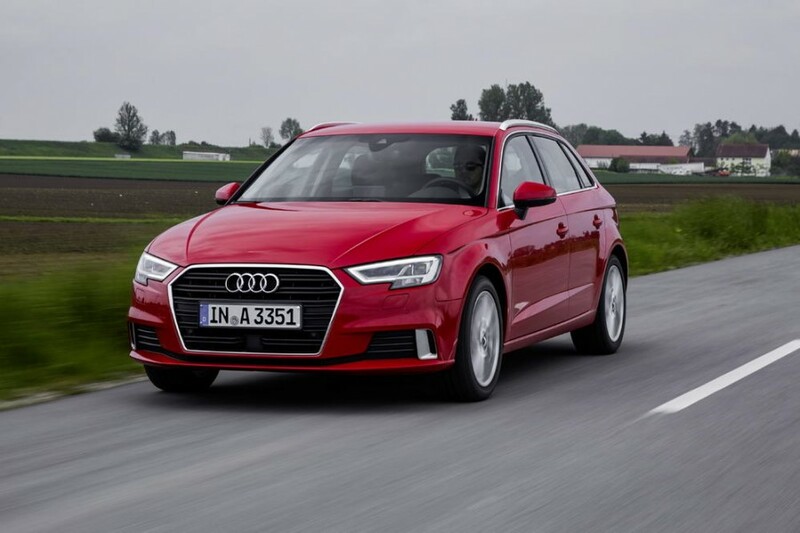 Audi A3 vs. Mercedes-Benz A 200 petrol: the A-Class's biggest rival, but it's much larger inside, even if it isn't quite as sporty in terms of design. 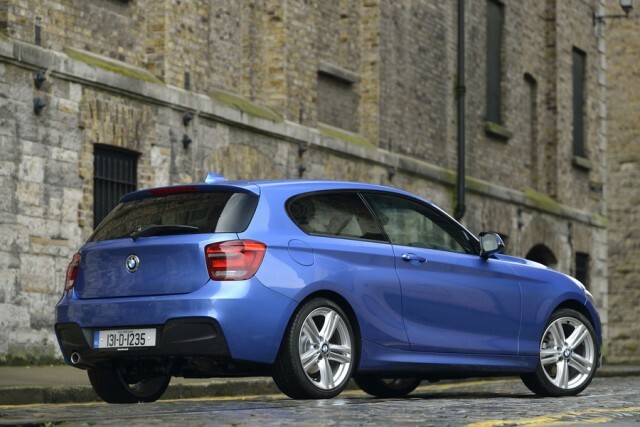 BMW 1 Series vs. Mercedes-Benz A 200 petrol: better to drive than the Mercedes, if no more practical. Feels much older now though. Volkswagen Golf vs. Mercedes-Benz A 200 petrol: more spacious than the A-Class and more polished to drive, if less sporty and less distinctive looking.